In the award of a tender worth several million KM for procurement of fuel, the former management of Đurđevik Coal mine favored Amir Junuzović’s firm from Lukavac. The mine lost nearly 2 million KM in the deal. Every year, a Lukavac firm Junuzović-Kopex signs contracts worth millions with public companies. It trades in oil, transport and construction, and it has a reputation as a successful company with tradition and experience. Reporters from the Center for Investigative Reporting in Sarajevo (CIN) revealed how at least time times these business deals were illegal. In 2006, Junuzović-Kopex signed a deal with Đurđevik Brown Coal Mine thanks to a criterion of previous experience with the mine that many of the other firms bidding could not meet. A former manager of the mine, Adnan Šabić, included the requirement. Even though its fuel was not the cheapest, Junuzović-kopex was selected as supplier and it was awarded nearly 19 million KM for the deal. Members of the Procurement Review Body say that the criterion of the previous experience puts other bidders at a disadvantage. But owner Amir Junuzović does not find that questionable. “Those are just insinuations held against us. This was done on purpose against us. This is either lack of knowledge or a purposeful act,” Junuzović told CIN reporters. The prosecutor’s office of Tuzla Canton has established irregularities in the bidding procedure and illegalities in its execution, has cost the mine nearly 2 million KM more than was necessary. This is why the office charged Šabić, Junuzović-Kopex and one of firm’s and another of mine’s employees last year. Before the deal with Đurđevik, the firm made money thanks to false reports about the work of its machines in the Kreka mines. Junuzović has been sentenced twice for fraud and abuse of office related to this case, but not his firm. Hence, it was allowed to participate in tender procedures. According to the Law on Public Procurement in BiH, only convicted companies may be excluded from public procurement procedures. This could happen to Junuzović-Kopex in the future if the court upholds the prosecutor’s allegations. In the beginning of 2006, the former Đurđevik’s manager Šabić had put out a tender for procurement of fuel. The mine needed a two-year stock – 9 million liters of diesel and 32,000 liters of gasoline. Šabić decided that the mine would choose a supplier by giving points for several criteria: price, terms of payment, evidence of past contracts, and previous experience with the mine. Four firms competed. The lowest price was offered by a Gračanica firm Shell Elektron which received the highest number of points. However, in the final count of points, Junuzović-Kopex pulled ahead thanks to its “previous experience“, for which it received the maximum 10 points. Junuzović-Kopex was the only firm that met this criterion. Hence, its bid received more points than Shell Elektron’s bid. The commission proclaimed Junuzović-Kopex the winner even though its bid was 747,000 KM more expensive than the firm from Gračanica. Kasim Šišić was a member of the commission that rated the bids. He told CIN that even back then he was of the opinion that “previous experience” was not in line with the law and that if favored certain companies. “I brought it to their attention that we should skip that criterion because it was not really legal. It is really, in a way, made up because they wanted that Kopex,“ said Šišić. Based on the contracts and annexes for procurement of diesel Junuzović-Kopex collected nearly 19 million KM between 2006 and 2009. 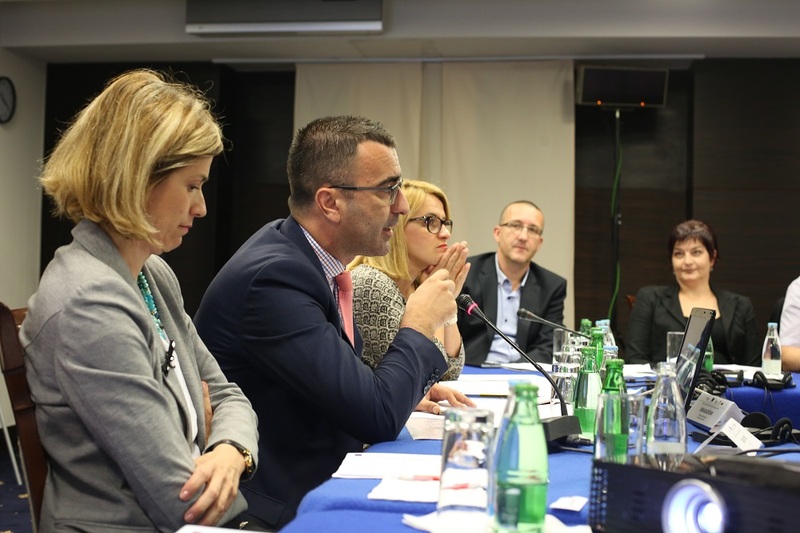 The commission members and Šabić denied the appeal so Alić complained to the Procurement Review Body which monitors implementation of the Law on Public Procurement and decides on the appeals from disgruntled bidders. When he learned about the appeal, Šabić halted the procurement while waiting for the Body’s decision. It took 19 months before it came out. Meanwhile, after seeking the approval of Supervisory Board, Šabić contracted Junuzović-Kopex for fuel, adding that the contract could be terminated if the Body upheld the complaint. Former PRB’s chairman Amir Pilav told CIN that the institution had a backlog of cases because it did not have enough members at the time. When it finally made its decision at the end of 2007, PRB wrote that the mine should not have added either “previous experience” or proof of past contracts as criteria. Those were termed as “unobjective criteria” that put bidders at a disadvantage. However, the decision came too late because the mine had already awarded the contract. The owner of Junuzović-Kopex said that he saw nothing questionable in those requirements and that most of the public companies had them in their tender requirements at the time, and that former manager had no interest in favoring his firm. “In the end, the mine has set the rules and we have played by the rules,” said Junuzović. Šabić refused to speak to CIN reporters because of the ongoing trial before the Cantonal Court in Tuzla. 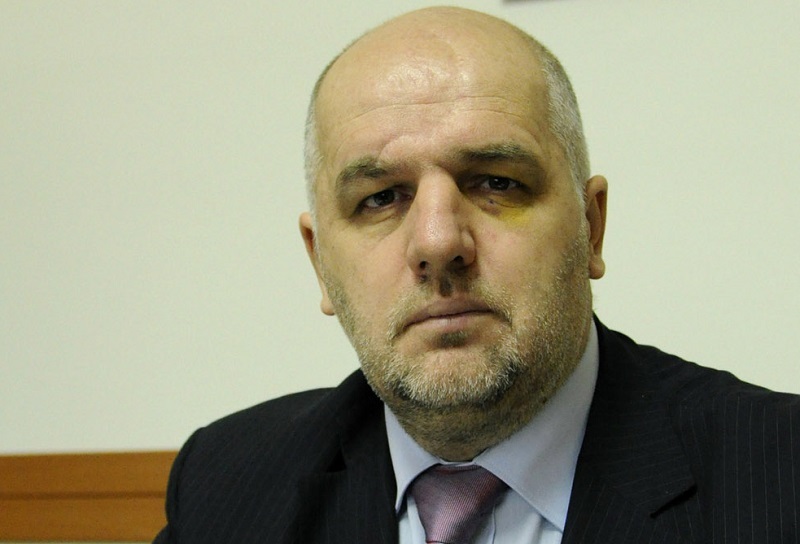 While Alić awaited indemnity because of the lost contract, the prosecutors received an anonymous complaint. It stated that a Lukavac firm got a contract to supply Đurđevik mine with fuel because of an illegal criterion, so the office opened a case. Prosecutor Alidžanović said that they established how the former manager of the mine Šabić was to be held accountable because he had introduced the controversial criterion into the public procurement. 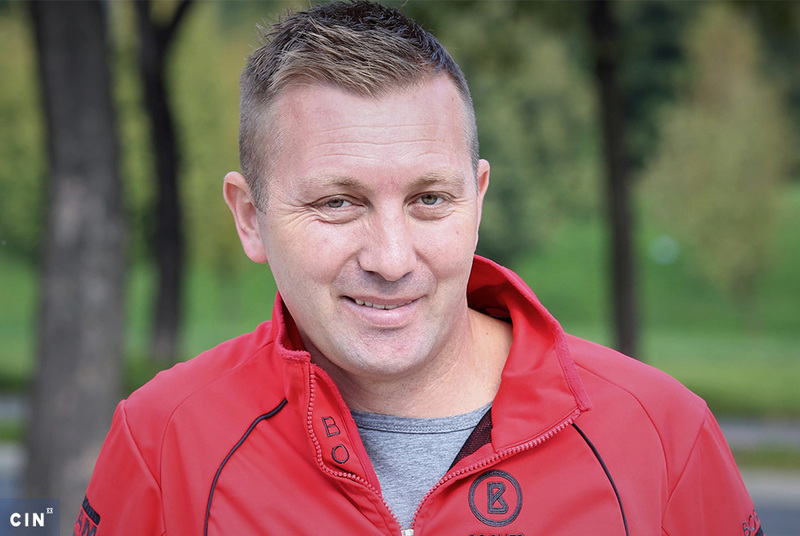 In mid-2017, Šabić was arrested and an indictment was filed against him. His co-defendants were Esad Hodžić, a former head of the mine’s Department of Commercial Affairs and Department for Public Procurement; Junuzović-Kopex as a firm and its head of Retail Trade Sector, Nermin Alić. The investigation revealed other illegalities in the work of Šabić, Hodžić and Nermin Alić. They made it possible for Junuzović-Kopex to collect around 400,000 KM from the mine for the cost of custom fees paid for diesel, even though the firm had not incurred those costs at all. Junuzović told CIN that the prosecutors did not understand these costs and that his firm did everything in line with the tender. 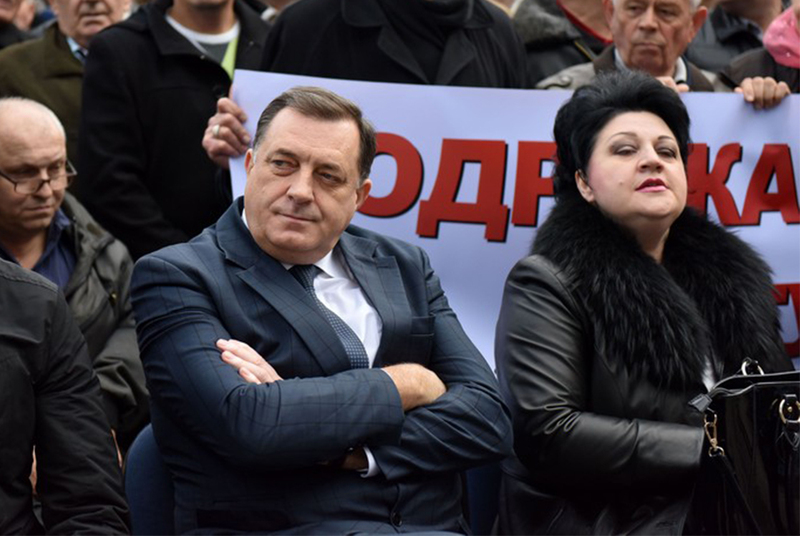 The prosecutor asked the Cantonal Court in Tuzla to prohibit Šabić from holding a management role in any public company in BiH, and to have Junuzović-kopex forfeit around 740,000 in illegal gain. The trial is ongoing. Because of indemnities, paid fictitious custom fees and the difference in price compared with the Shell Elektron’s bid, the mine has paid nearly two more million KM than it should have had. The owner of Junuzović-kopex has already been convicted twice for fraud and abuse of office. He was first convicted in 2012 to a suspended sentence because he made a deal with a former manager of Kreka Mine in Tuzla, Enver Omerdić, to do mining works with a bulldozer that was not mentioned in the contract. The pair wrote up and signed reports about the work of machines and filled out invoices with incorrect information. Two years later, Junuzović was sentenced to six months in prison for fraud in contracts with Kreka during 2005. This time he admitted that his workers made false reports about the work of the excavators that the firm did not have and for whose supposed work the mine ponied up nearly 80,000 KM. Junuzović said that he gave back the money and commuted the prison sentence into a fine. Despite these convictions, his firm continued to bid on tenders. According to the Law on Public Procurement in BiH, only a convicted firm may be excluded from procurement procedure, while there are no rules that would stop a convicted owner form participating on tenders. Between 2011 and March 2018, Junuzović-kopex won at least 89 contracts from public institutions and companies, worth nearly 24 million KM. If the Court in Tuzla convicts this firm, it might lose a right to participate in future tenders. Junuzović’s firm profited even when it did not win public procurement contracts. Due to errors in tender procedures by public companies and PRB, Junuzović-kopex collected a total of 2.45 million KM in indemnities. In 2011, Junuzović-kopex appealed the FBiH Railways’s decision to award a fuel supply contract worth nearly 7.2 million KM to a Brčko firm Cerol. Junuzović said that Cerol did not file legitimate paperwork at the tender. PRB agreed and asked the company’s management to review the case one more time, but the FBiH Railways turned a deaf ear. Instead, the FBiH Railways abandoned the procurement and later advertised another tender. Cerol won again. Junuzović complained and received an indemnity worth 790,000 KM. The firm also requested indemnities for violation of the terms of another tender – after the Electricity Generator and Supplier of Bosnia and Herzegovina (EPBiH) awarded a fuel supply contract to “Hifa Petrol” of Sarajevo. Even though PRB threw out Junuzović-kopex’s complaint, it turned out that the firm was right because the Court of BiH later decided that PRB had to change its decision. And so it happened that PRB established that EPBiH did not work in line with the Law and had damaged the private firm for nearly 1.7 million KM. While investigating indemnities paid in public procurement procedures, CIN reporters have uncovered that bad decisions by PRB have cost public institutions and public companies at least six million KM.